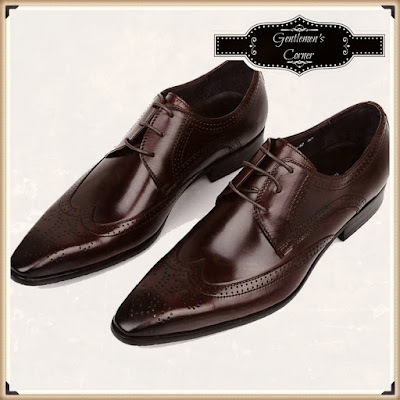 Gentlemen as of any other accessory shoes are important as ties, pocket squares or the suit itself. I talked about that with my girlfriend Beautyundergrad (Link) a fashionista. And from a woman point of view shoes are as important as the rest of your outfit. But let us dive now into the topic. 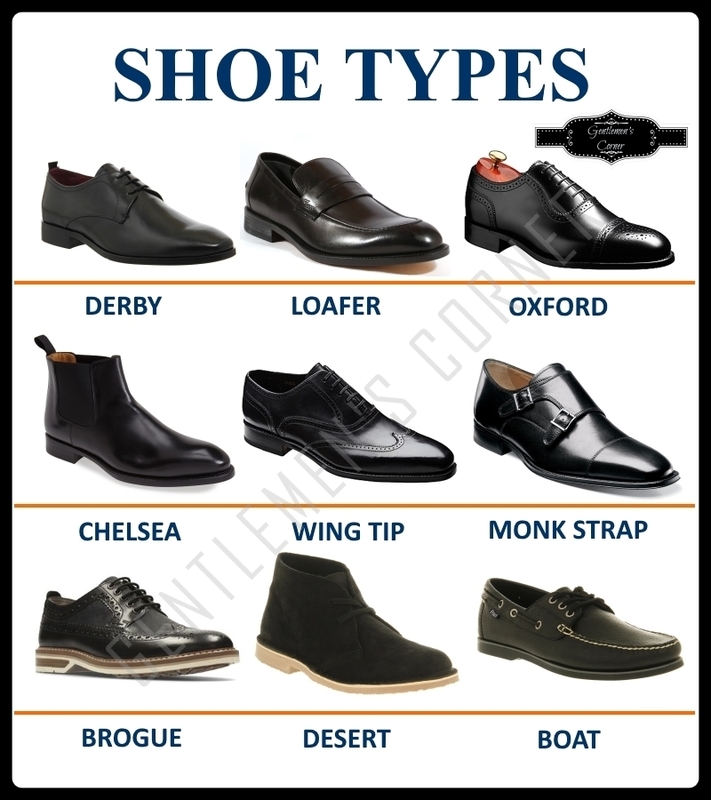 I give you a overview of the type of shoes, the tip of the shoe and why you should consider it as well as some care taking info's. 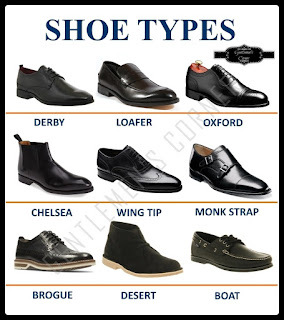 As you can see in the chart there are many types of shoes for a gentleman. While some of them are for business, formal occasions and events so are the other for the private part. Oxford and Wingtip are the one you should consider if you attend in a "high rank" or important meeting also for more formal events. The rest are for the more casual / private occasions and events. When you about to buy a new pair of shoes you also need to consider the tip of the shoe. Beside the aesthetic purpose of the tip those have also a side effect you need to pay attention to. And as you can imagine there are a lot of varies and crossovers. This will help you to find a good pair of shoes that not only fit to your outfit it will also compliment it. Your about to buy a new pair of shoes and as it is those business shoes, as an example, can be expensive even if you don´t buy a designer brand. And we want that they pay off in the long term which mean we have to take care of them. Of course in the picture are shown the more fancier ones of shoe care kits but it gives you an idea what it means if you take being a gentleman serious. And i can tell you to clean, wax and polishing your shoes can also have something relaxing even meditating. But with the cleaning we are not done with the care taking. 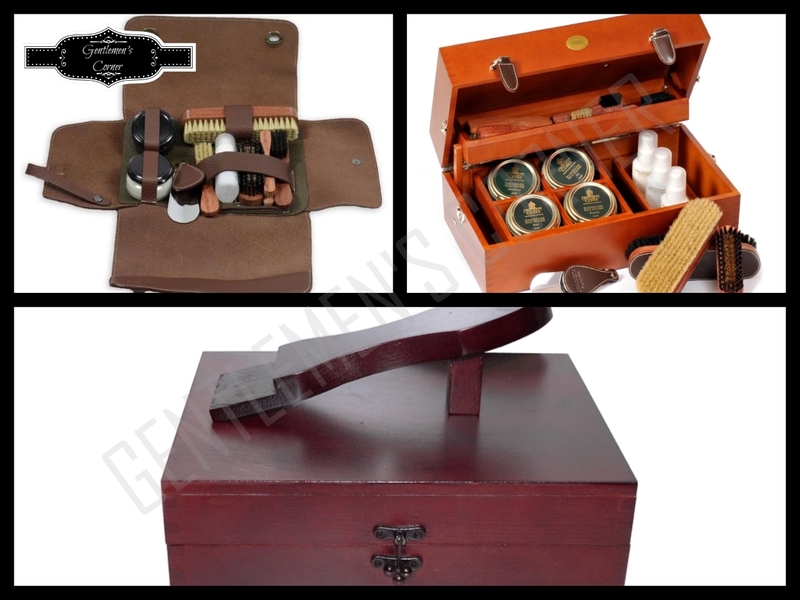 In the picture above are shown some shoe trees that will help you to keep your shoes in the from the have to be, dry and also help to keep unwanted off odors away.